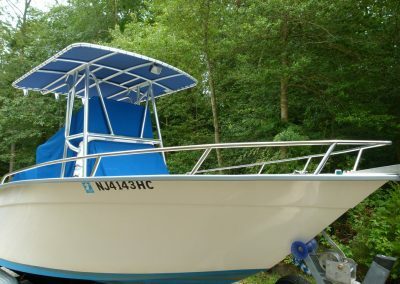 Need a new look for you boat? 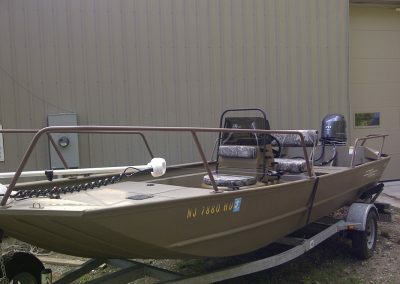 Try a custom bow rail. 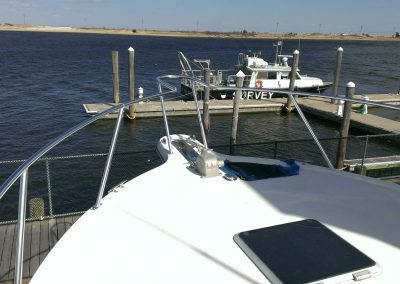 Our Bow rails can be built to any height and length. 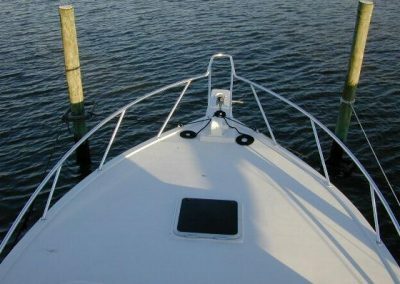 Clean up your boat’s look with a sleek looking bow rail. 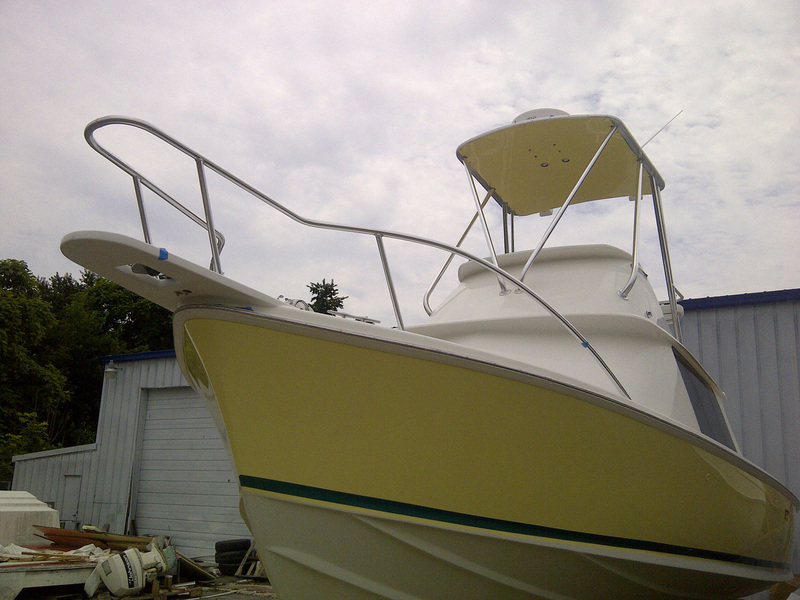 We can custom fabricate bow rails for any boat in either stainless steel or aluminum. 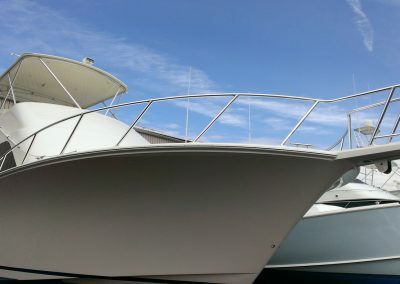 A bow rail can add safety and good looks. 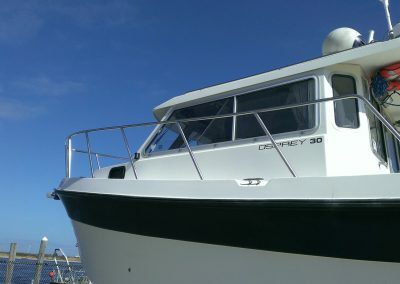 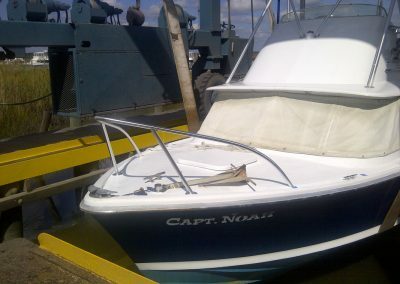 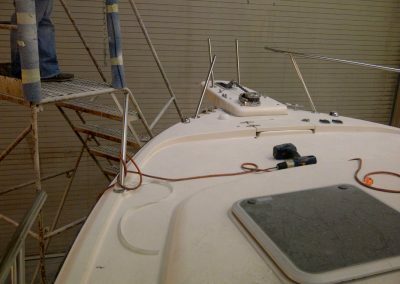 We also can repair damaged bow rails and add accessories.